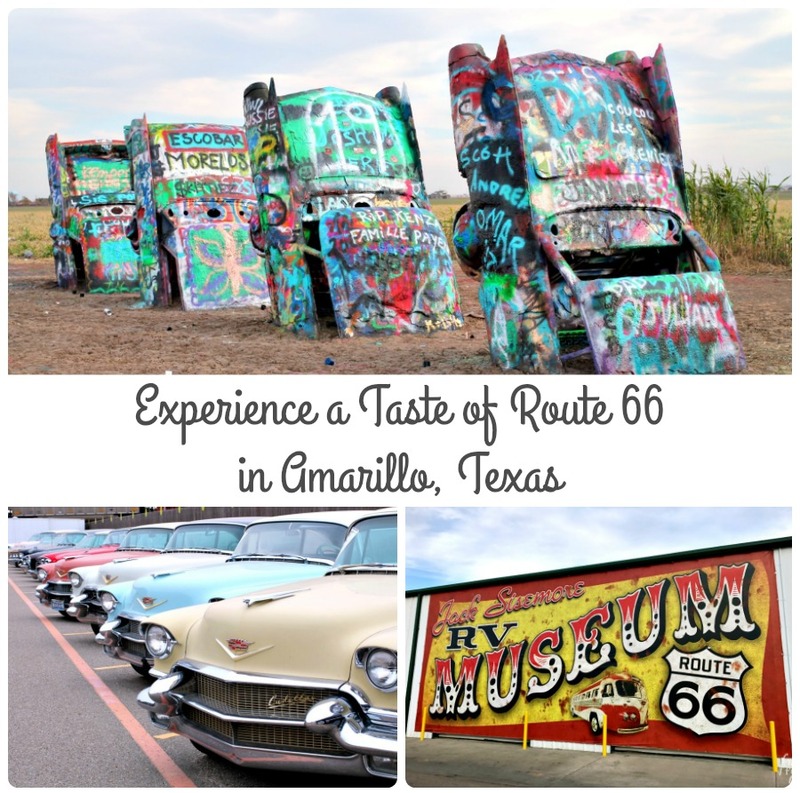 This post was created in partnership with Visit Amarillo. As always, all opinions & thoughts expressed below are 100% my own. I think many Americans and foreign tourists alike share the dream of one day traveling the entire length of the historic & iconic Route 66. It is one of those bucket list items. The ultimate American road trip. 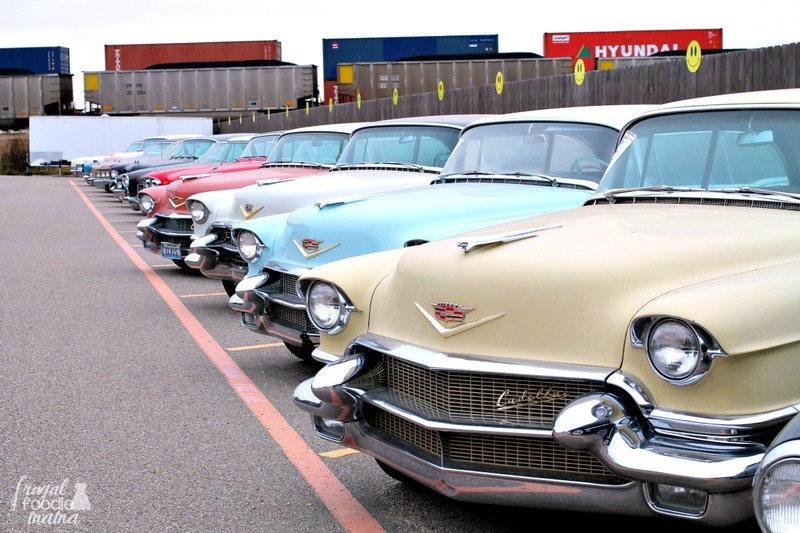 A journey back to a simpler time when Cadillacs ruled the roads & families packed up the station wagon or camper to head out west for the annual family vacation. But the nearly 2,450 mile drive from Chicago to Santa Monica can seem a bit daunting at first. This trip can take you weeks round trip, especially if you stop often to take in the quirky & iconic roadside attractions along the way. I mean, what's the point of making the epic Route 66 journey if you aren't going to actually going to make the time to experience everything this nostalgic highway has to offer? 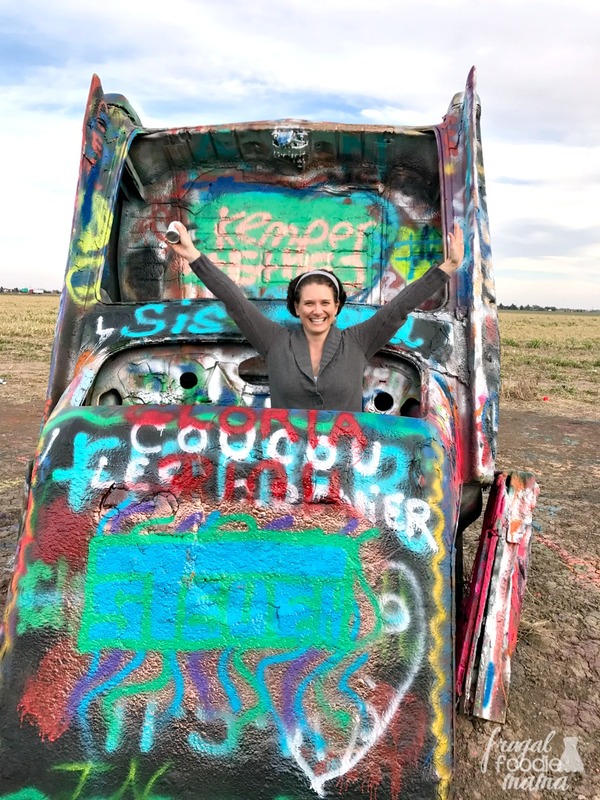 Standing as a tribute to the classic cars that once cruised up & down Route 66, Cadillac Ranch is by far one of Amarillo's most popular tourist attractions. The art installation was originally erected in 1974, but was relocated to its present location off of I-40 in 1997. 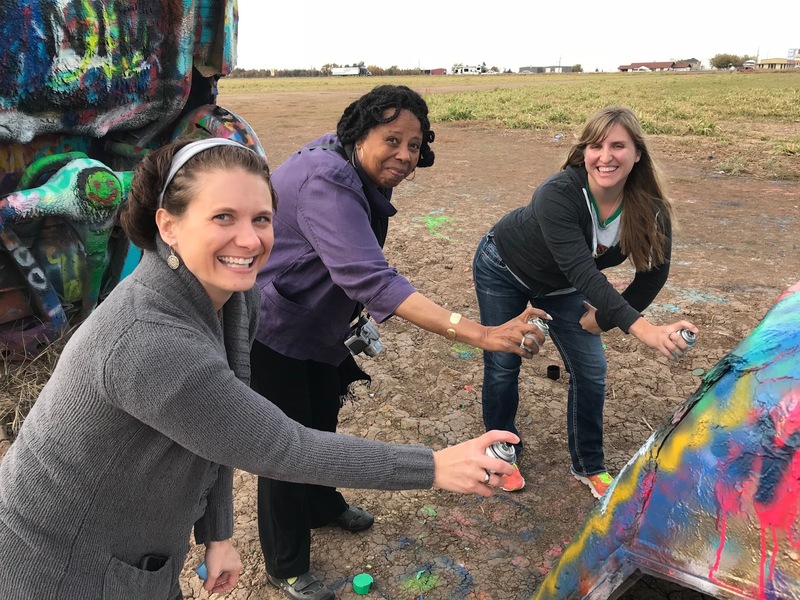 Tourists come from all over the world to leave their mark one spray paint can at a time on one of the ten classic Cadillacs buried nose first into the former wheat field. If you happen to work up an appetite from all that spray painting at Cadillac Ranch, then be sure to stop in at The Big Texan Ranch & Microbrewery just a few miles up the interstate. This iconic Texas-style steakhouse first opened its doors in 1960 along the historic Route 66. 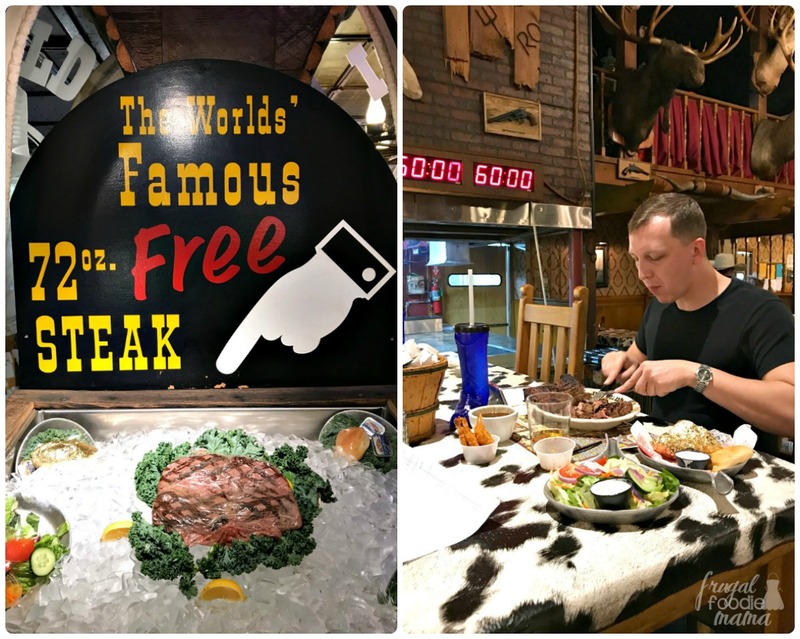 When the new interstate was built in the 1970's, the Lee family made the decision to relocate the bigger than life restaurant alongside I-40 bringing with them the gusto of Route 66 & the spirit of a bygone era of Americana. 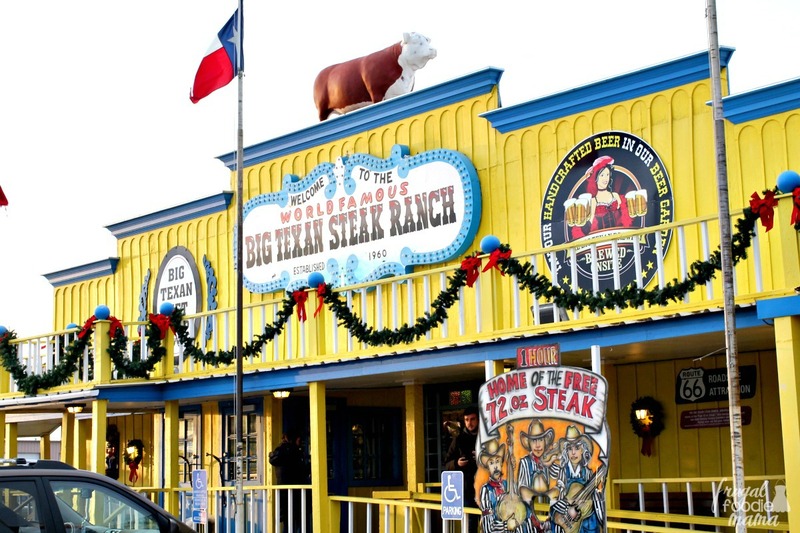 The Big Texan menu offers a hearty selection of juicy steaks, buffalo burgers, & their famous chicken fried steak. 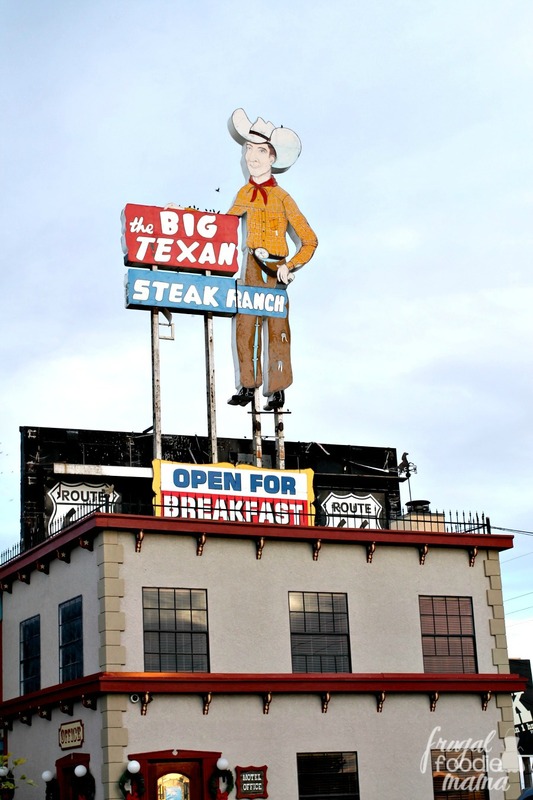 Since June 2011, the Big Texan has also been brewing & serving hand crafted beers from their very own microbrewery. On any given day, they offer over 12 different brews on tap that rotate seasonally. But perhaps The Big Texan's biggest claim to fame is their World Famous Free 72-oz. Steak Dinner. Free, that is, if you can devour the entire steak and all the fixings (3 fried shrimp, garden salad, baked potato, & dinner roll) in 60 minutes or less! And when they say "world famous", they mean world famous. The gentleman pictured above who unsuccessfully attempted this massive challenge had traveled to Amarillo from Russia. After collecting & restoring vintage RV's for over 25 years, Jack Sisemore & his son Trent decided to build their very own museum to house their massive collection of campers, recreational vehicles, classic cars, & motorcycles. Their RV collection encompasses all decades from the 1930's to the 1970's. You are actually allowed to walk around inside most of these antique homes away from home & really get a feel for what it would have been like to have traveled along Route 66 in a shiny Airstream or a teardrop camper during the Mother Road's heyday. 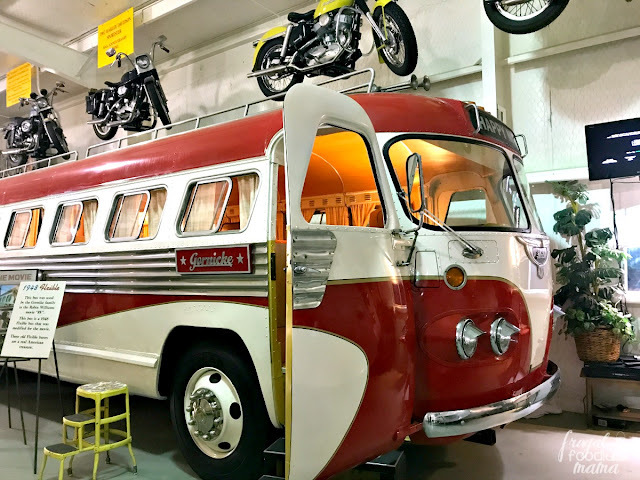 The RV Museum is definitely worth a little detour to go and visit. Plus, admission to the museum is free! :) Just visit the main showroom & a friendly staff member will walk you back to the museum during operating hours (Monday-Friday, 9am to 5pm; Saturday, 9am to 4pm). 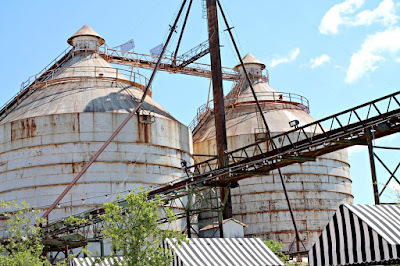 Another museum worth a stop at in Amarillo is Bill's Backyard Classics. The museum is an impressive private collection of over 100 classic cars, many of which hark back to the glory days of Route 66. 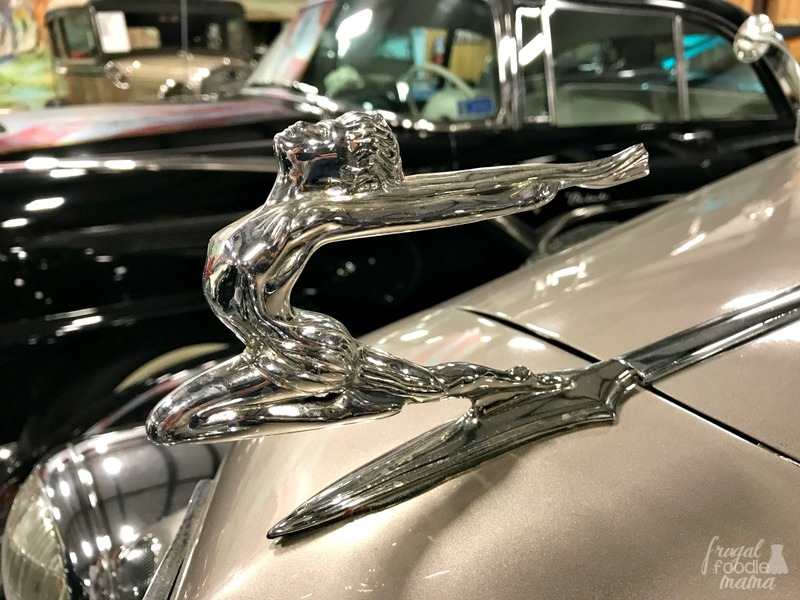 On display are cars & trucks of all makes & models ranging from the 1920's to present day- from Model A's to hot rods to smart cars. 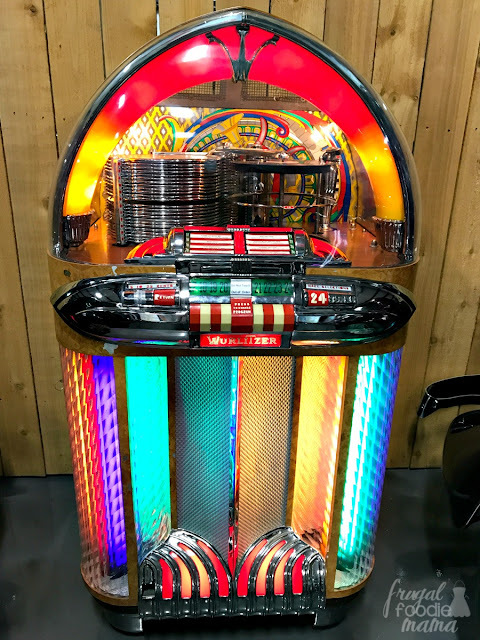 Classic tunes from a 1950's style jukebox set the mood as you walk up and down the aisles of the museum admiring the shiny chrome & timeless curves of these beautifully restored vintage vehicles. Bill's Backyard Classics is open for tours from 10am to 4pm, Monday through Saturday. Admission is $10, but children 12 & under get in for free. To get a real taste of Route 66 in Amarillo, go straight to the source- the over one mile of the Mother Road that runs straight through the heart of the historic 6th Street district! 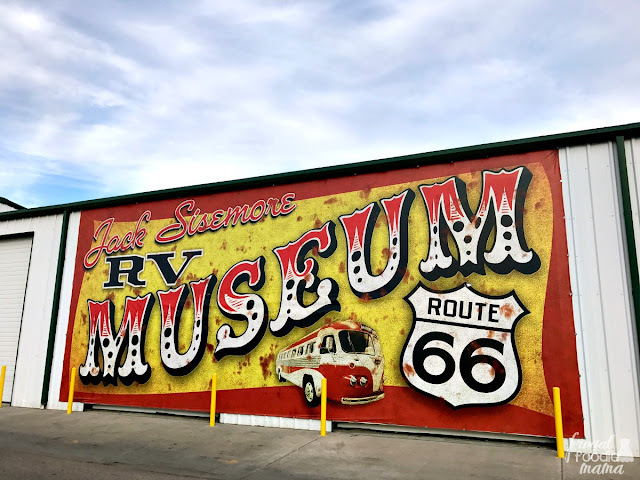 Here you will not only find that the spirit & gusto of Route 66 is still alive & well, but you will also find a plethora of restaurants, bars, shops full of antiques & collectibles, and art galleries. 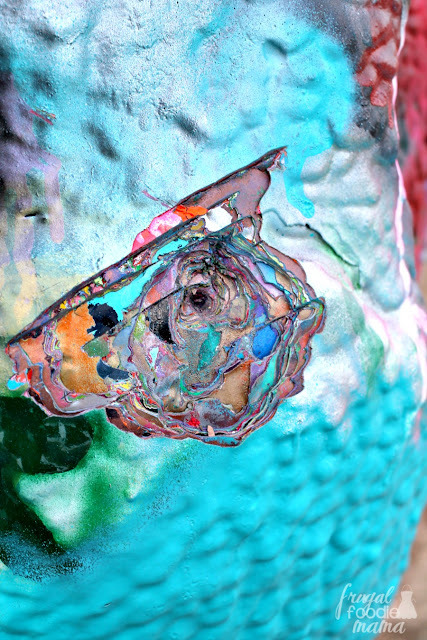 Lile transforms these layered paint chips into wearable works of art. 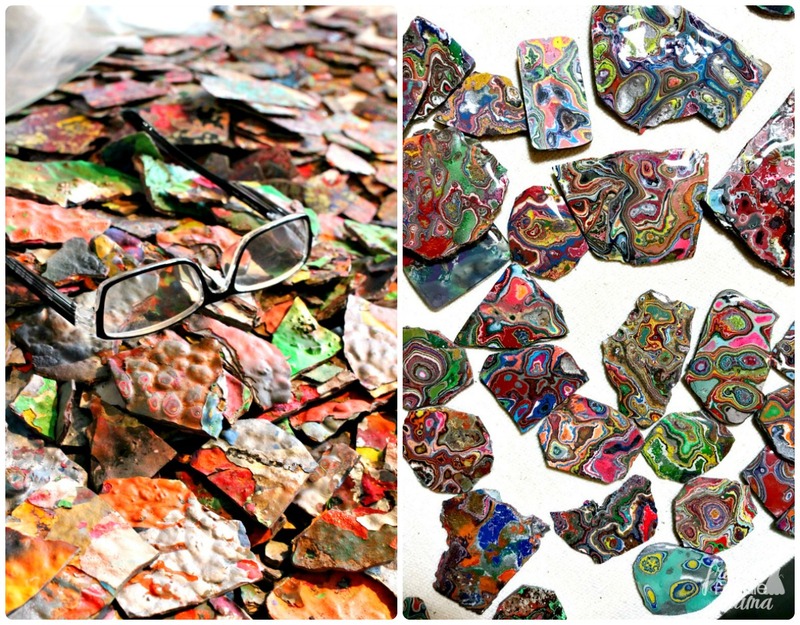 He sands down & polishes each paint chip and then turns them into beautiful necklaces, earrings, & bracelets, aka what he calls Cadilite jewelry. 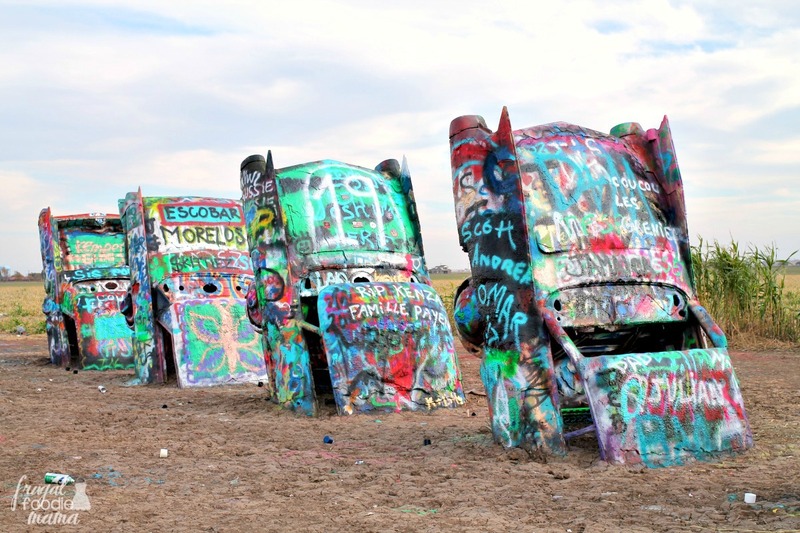 You can literally take a piece of Cadillac Ranch & Route 66 home with you. 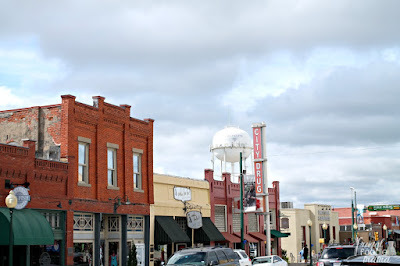 For a full list of shops & restaurants & a calendar of events happening in the historic district, be sure to visit the Historic 6th on Route 66 Association's website. 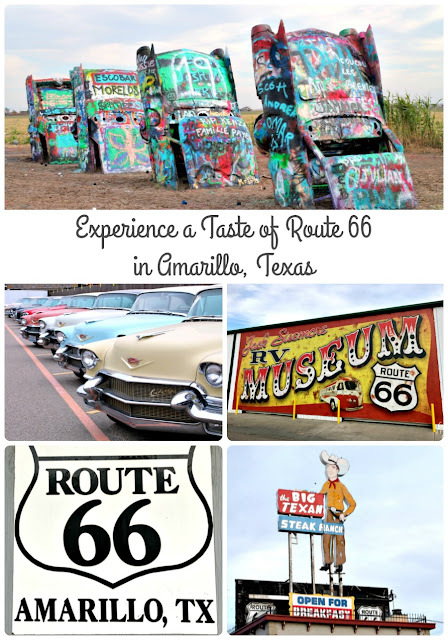 Have you traveled to Amarillo, Texas before? 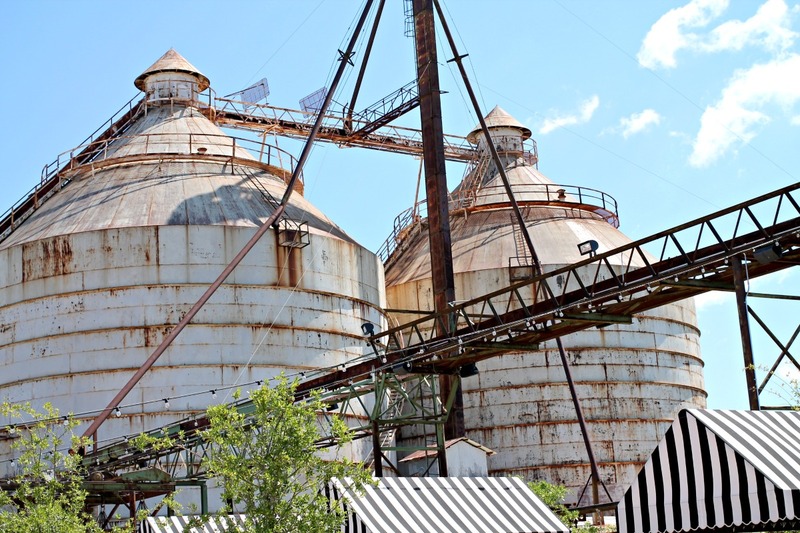 What are some of your favorite quirky & iconic stops there? 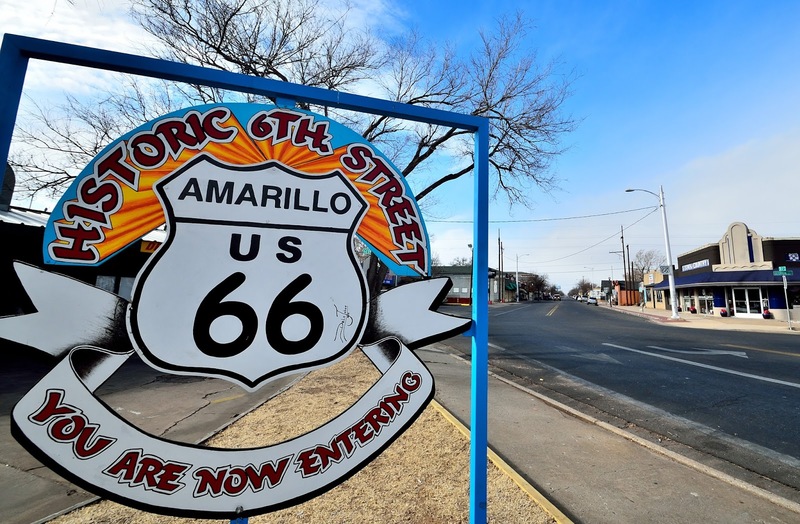 For more information & to start planning your getaway to Amarillo soon, be sure to click on over to the Visit Amarillo website!